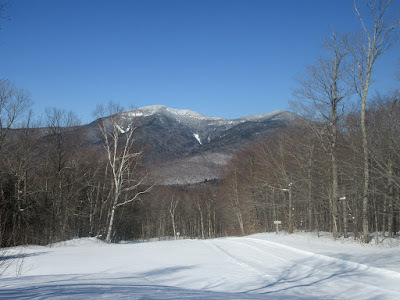 A sunny but cold day - at 9:30 am the air temp at 4000 ft. was minus 8, plus wind -- too cold to enjoy any lofty viewpoints. Saw that a redliner had broken out the Snows Mountain Trail in Waterville Valley (thank you) and decided to give it a try. 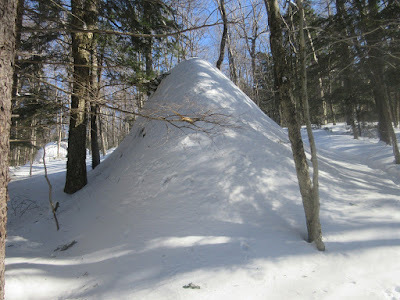 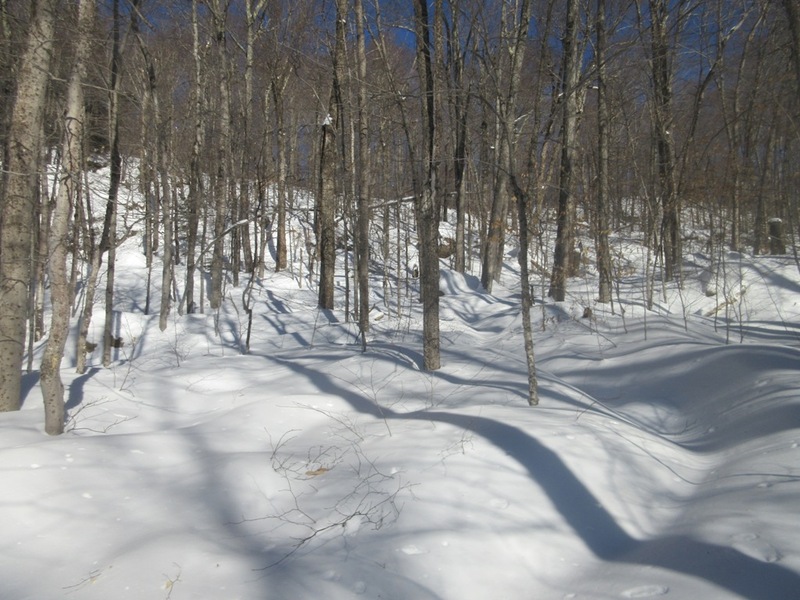 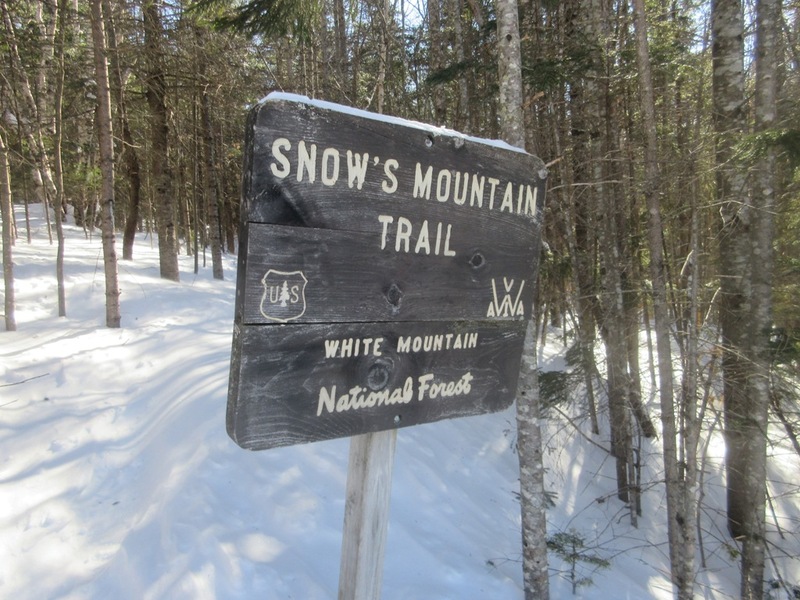 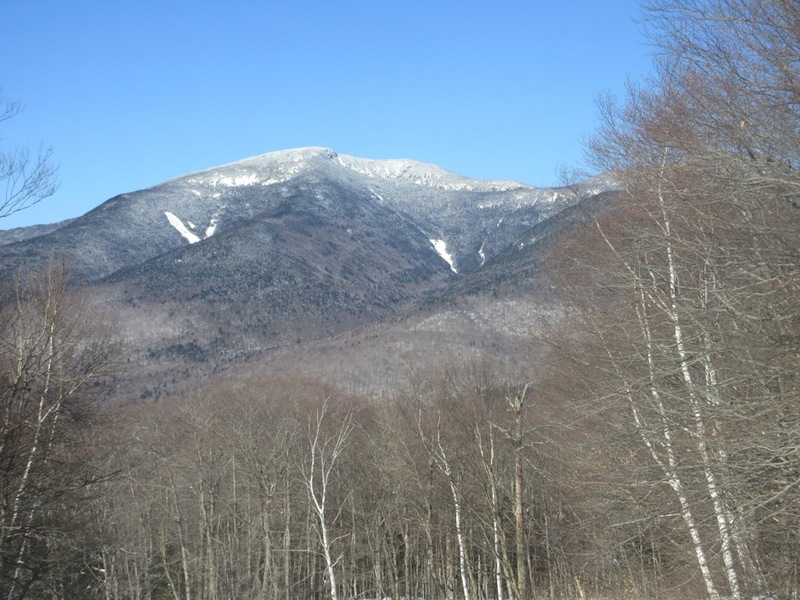 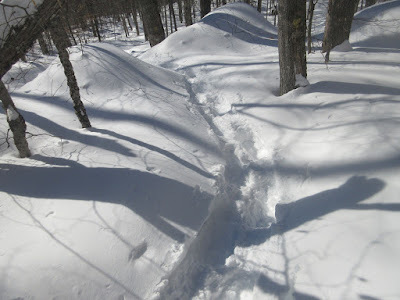 The late morning start of the hike did not bode well, as there was heavy breaking of wind-drifted snow for 0.3 mile up the Snows Mountain ski slope. 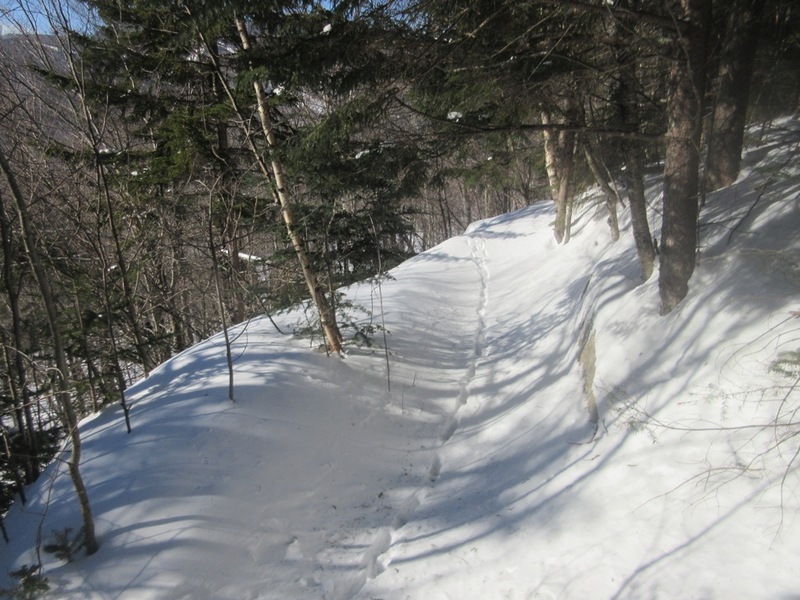 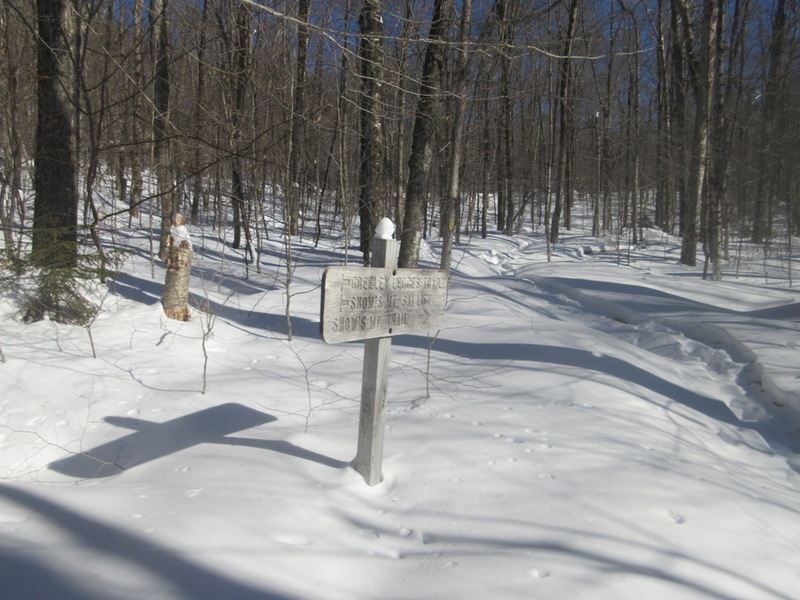 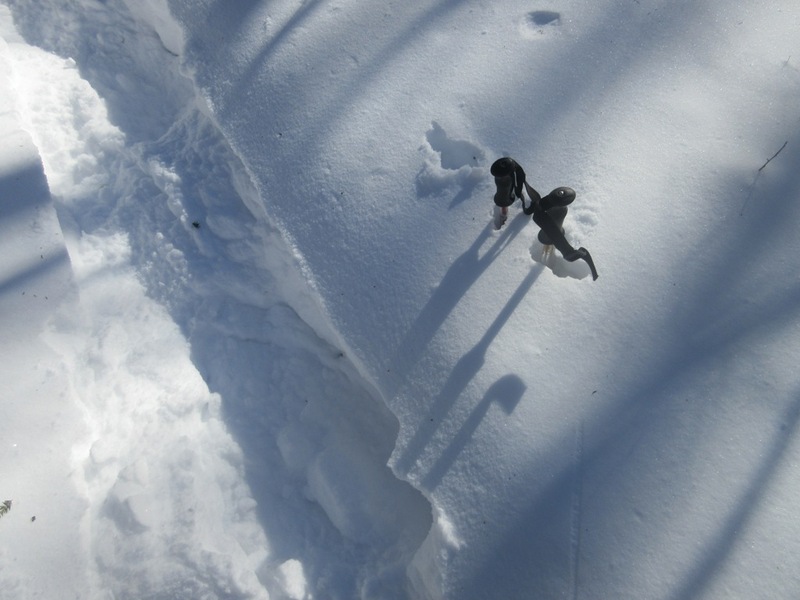 Was happy to reach the sign where the trail enters the woods, but the partly broken track had set up and was drifted in places, making for tedious, uneven snowshoeing. 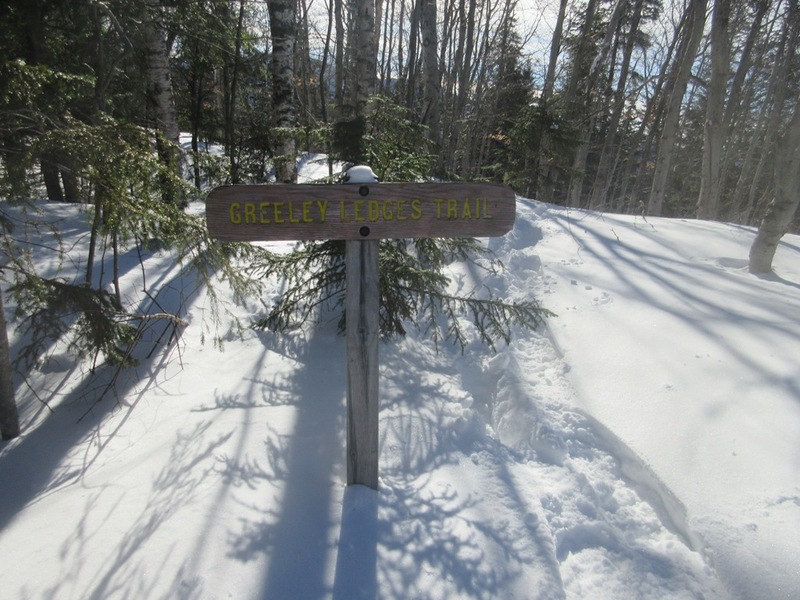 I slogged another 0.4 mile up to the Greeley Ledges Trail junction, and decided I didn't want to continue another 1 1/2 miles like this up to the Snows Mountain ridgetop viewpoints. I turned left onto Greeley Ledges Trail to make a short loop over the top of the Snows Mountain ski area. 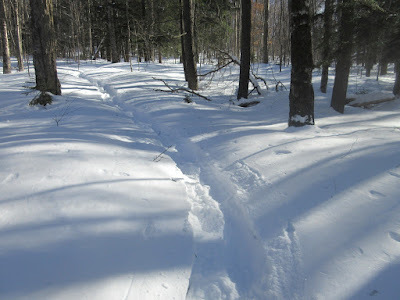 This is a neat little Waterville trail leading through fine hardwood forest. Slow going in the deep unbroken snow. Greeley Ledges, formerly known as just "The Ledges," was once a good viewpoint, but the trees have totally obscured any vistas. 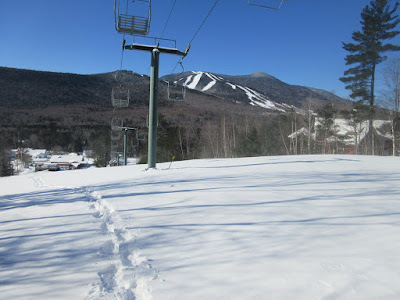 Nice view of the Osceolas by the top of the chairlift. 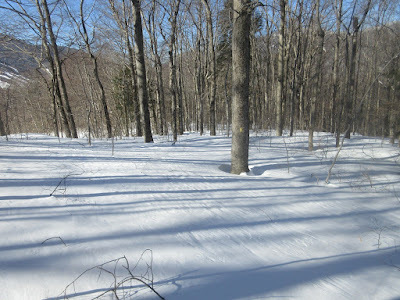 Great view into the Osceola Brook ravine, on the right. 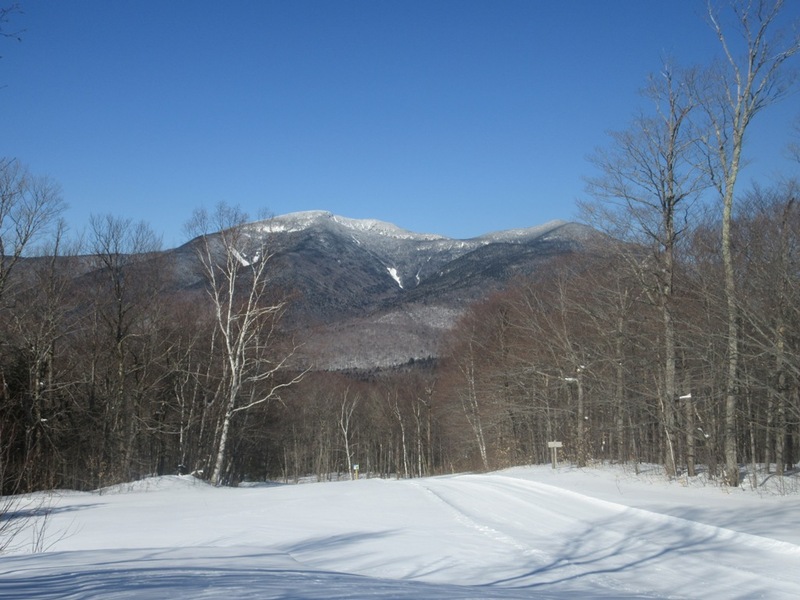 The Osceola slides gleam in winter. 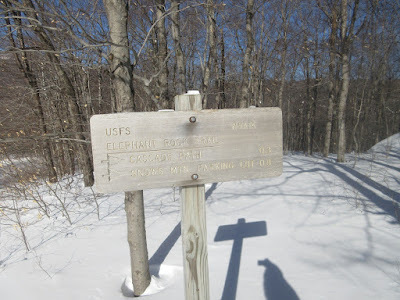 To complete the loop, I descended via the Elephant Rock Trail and the lower Cascade Path. It looked like the Elephant Rock Trail hadn't been used all winter. Yellow blazes were helpful in the open hardwood forest. Even going downhill, the breaking was strenuous. Snow depth at just 1850 ft.